To type the Euro sign in Windows, we just need to have a Euro-zone keyboard layout selected (French, German, Greek, etc.) and type Ctrl+Alt+E. This combination, however, won't work on most Linux distributions, regardless of the layout. 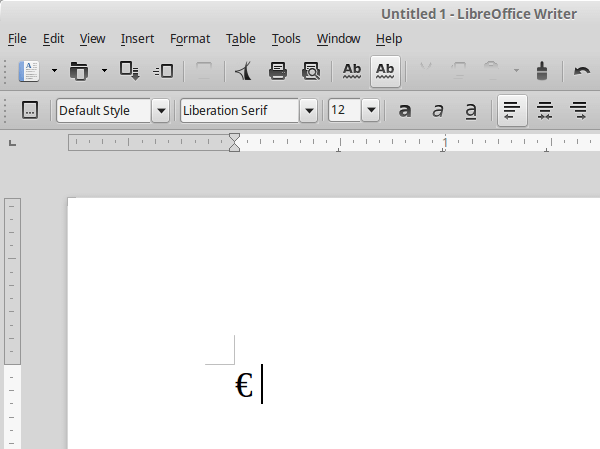 Let's see how to type the Euro sign in Linux Mint and Ubuntu. We have prepared this guide on Linux Mint 17.2 and Ubuntu 15.04. It should work on recent earlier and for future versions, as well as distributions based on Mint and Ubuntu. 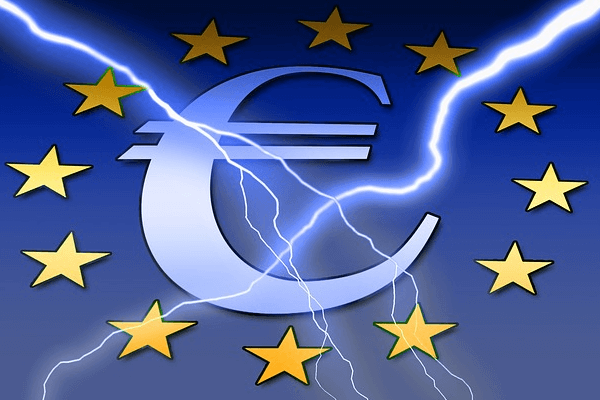 Need any help with the Euro sign in Linux Mint or Ubuntu? 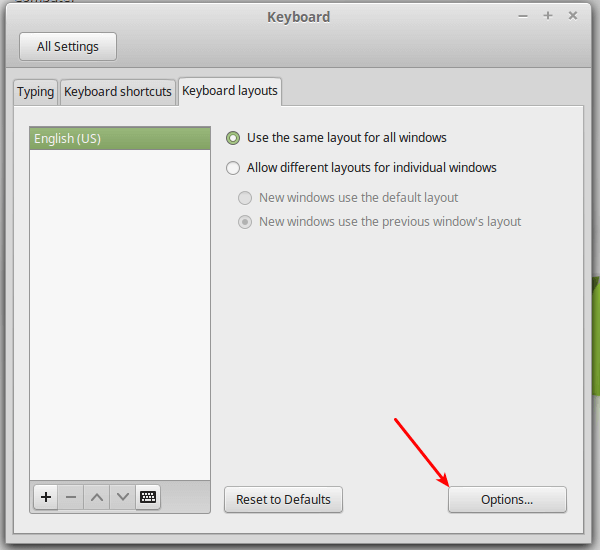 Linux Mint makes it easy to add a Euro sign shortcut on the keyboard. We just need to go to Preferences -> Keyboard. There, we select the "Keyboard layouts" tab and click on Options. 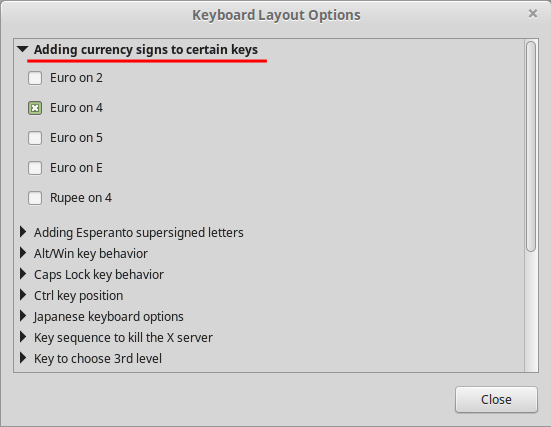 First, we open the "Adding currency signs to certain keys" preferences and click on any of the options. For the example, we will add the Euro sign on 4, where the dollar sign already is. This won't disable the dollar sign with Shift+4 since the Euro sign is added on a third level. Then, we open the "Key to choose 3rd level" preference and check one or more keys. Any keys that we will select will only be used for choosing the 3rd level. 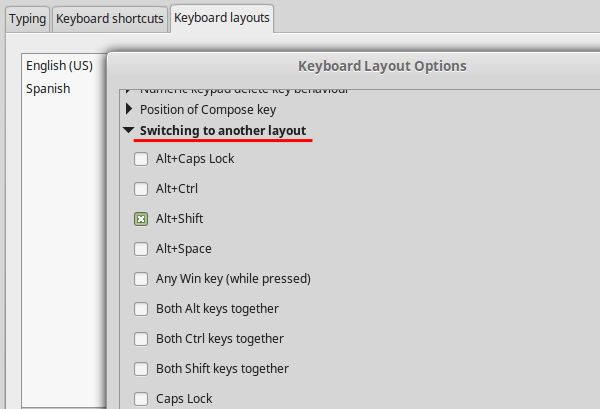 So, if we select "Any Alt Key", shortcuts such as Alt+F4 won't work anymore. 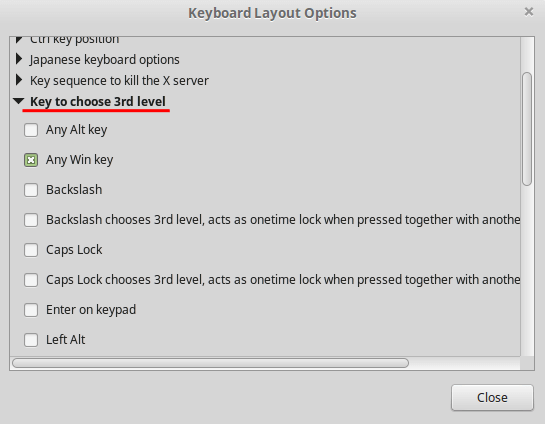 For the example, we chose "Any Win key", because we don't need the Windows key in Linux Mint to open the start menu. Feel free to make a different choice. And that's it. From now on, pressing Win+4 will insert the Euro sign anywhere we need it. 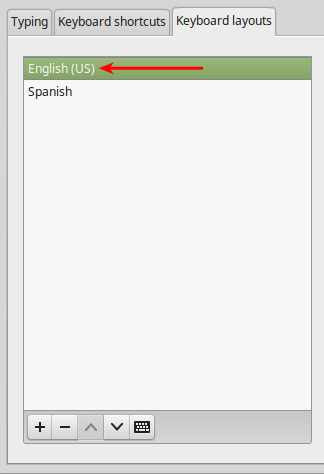 If we have more than one keyboard languages in Linux Mint, there are two extra things we need to know. First, after setting up the "add currency signs" and "3rd level button" options, we need to set manually the default Alt+Shift keyboard combination. Second, we can only insert the Euro sign while using the default keyboard layout, i.e. the one that is on top. Using the arrows, we can change the default layout - in the example make Spanish the default - so we can type the Euro sign in that layout. 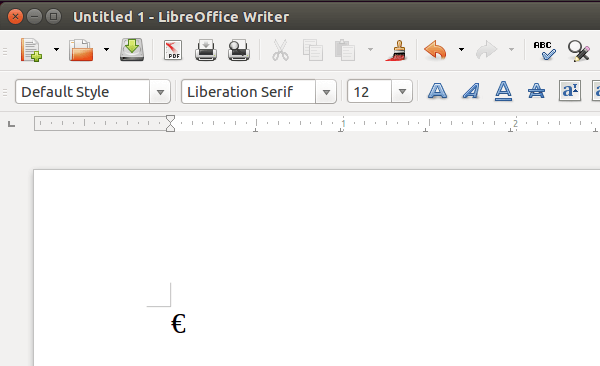 Strangely, Ubuntu Linux has a more complicated method to add the Euro sign, compared to Linux Mint. 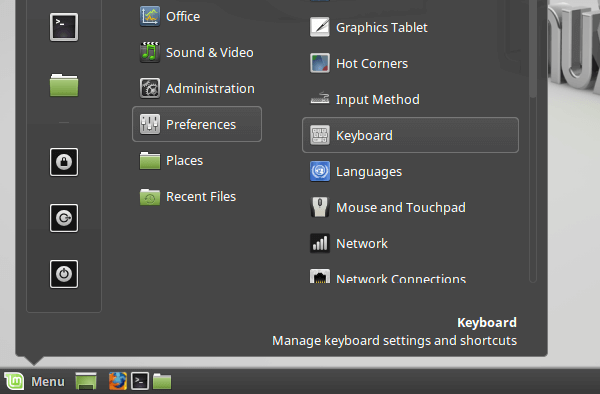 First we search for Keyboard on the Dash menu and select the Keyboard option. Then, we go on the "Shortcuts tab", click on "Typing", and select a "Compose Key". The key we will select will only function as a compose key, so make sure you aren't using it for any other keyboard shortcut. If our keyboard has a Right Win button, it's probably the best choice. If not, Right Alt is a good alternative. With the compose key selected, we just need to press the compose key, E, and "=" simultaneously. This will add the Euro sign in our documents. 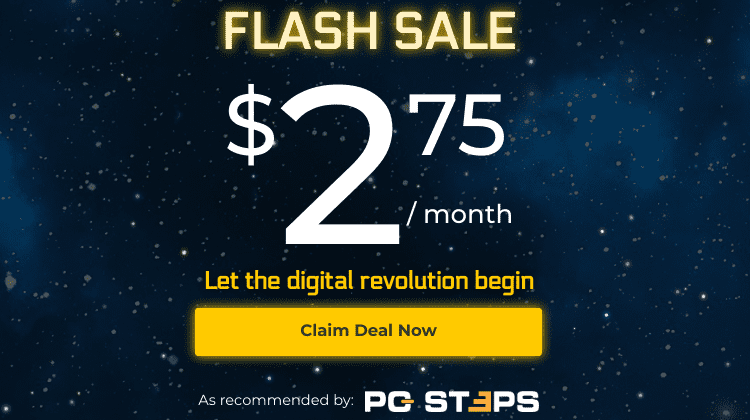 If anything on the above guide didn't work as described, and you weren't able to insert the Euro sign in Linux Mint or Ubuntu, leave us a comment.